Vietnamese catfish exports to several major markets recorded positive results in the third quarter of this year, with exports to the US market experiencing dramatic growth. Vietnam News Agency quoted data from the Vietnam Association of Seafood Exporters and Producers (VASEP) showing that, by the end of September, the total export value of Vietnamese pangasius reached US$1.59 billion, up 22.6% compared to the same period last year. In which, exports to the US market increased strongly since the beginning of the third quarter. In August, the figure reached US$65.9 million, up 256% over the same period last year. This trend continued in September, with exports worth nearly US$48 million, up 152.5% from the same period last year. By the end of September, the total value of catfish exports to the US reached US$369.1 million, up 42.9% year on year. According to exporters, the reason for the rocketed growth is mainly due to stable market demand and considerable price increases. Opportunities to promote the export of pangasius to the US market are increasingly clear as the industry received good news in September, as the US Food Safety and Inspection Service proposed for the approval that the Siluriformes fish testing system (including tra and basa fishes) in Vietnam is equivalent to the US, meaning that Vietnam is eligible to export fish and Siluriformes fish products to the US market. In addition, the US Department of Commerce reduced its anti-dumping duties on Vietnamese pangasius fish under its preliminary conclusion of the 14th period of review (POR14) for the period from August 1, 2016 to July 31, 2017. Accordingly, the preliminary anti-dumping taxes on products of two mandatory respondents are US$0 per kg and US$1.37 per kg. 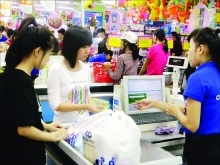 The tariff for voluntary respondents is US$0.41 per kg, while the tax imposed on other Vietnamese exporters not examined as mandatory or voluntary respondents will be US$2.39 per kg, lower than the final results of POR13. Although the DOC is scheduled to announce the final results of POR14 in January 2019, its move to lower the anti-dumping tariffs is seen as a positive signal for Vietnamese catfish exporters. 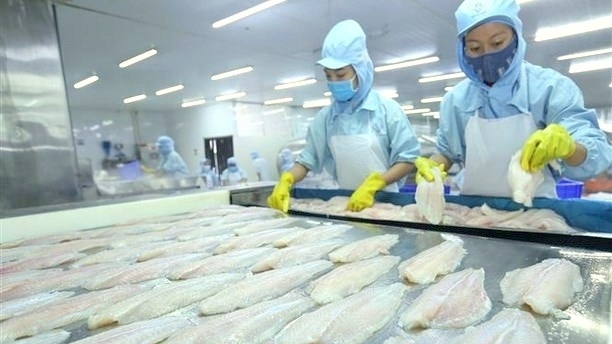 In addition, the US-China trade tension might result in opportunities for Vietnamese pangasius enterprises to boost their exports to the US. VASEP forecasts also show that catfish exports to the US will continue to grow well in the fourth quarter thanks to stable demand and good export prices, and possibly with better export growth, returning the US back to the position as the No. 1 importer of Vietnamese catfish. The market is currently Vietnam's second largest import market for pangasius, after China. Not only the US market, exports of catfish to other major markets, such as China, the EU and ASEAN also saw impressive growth. Although not as stable as in recent years, 2018 will be a happy year for catfish exports to the EU after negative growth for many years. By the end of September, the export of catfish to this market reached US$176.4 million, up 14.6% over the same period last year. This growth is expected to continue until the year end. For the Chinese market, exports of pangasius from Vietnam in the first nine months reached US$376.8 million, up 30.8% over the same period last year. The neighbouring country is still the largest import market of Vietnam pangasius, accounting for 23.6% of total export value. In addition, the export of tra fish to ASEAN is also growing well. This is the fourth largest export market of Vietnamese pangasius, with value worth US$145.5 million by the end of September, up 44% over the same period last year. With positive signals from the key markets, VASEP forecasts that catfish exports will reach US$2.1 billion for the whole year, up 22% over 2017 – the highest export value for the sector so far.